There is just something about watermelon that welcomes summer. I don't ever really want it any other time than outside in the heat of the summer months. 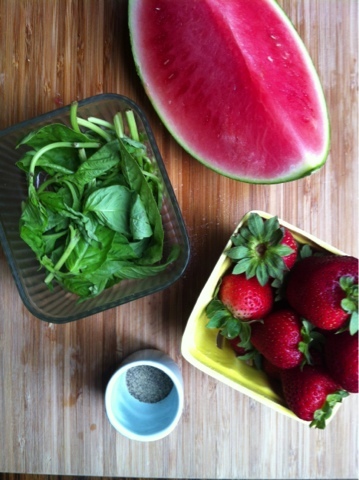 I added in sliced strawberries, fresh basil and black pepper to the watermelon chunks. It's that simple. Chop, toss. Done.